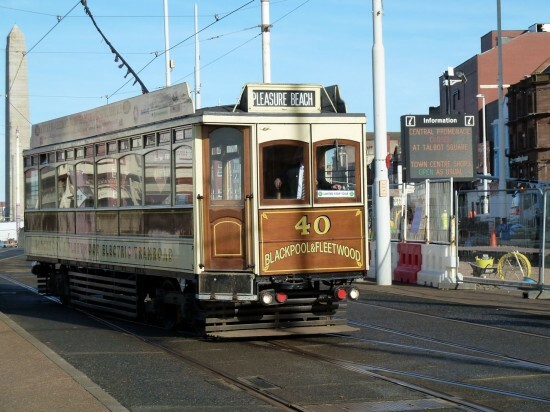 The work to connect the old Promenade tramway tracks with those being installed in Talbot Square and Talbot Road for the Blackpool North Railway Station extension has been continuing in recent weeks. Whilst there is still some work to be completed before the two are as one excellent progress has been made with the tracks being welded together ahead of the final road surface being put into place. There still remains no word on a possible opening date for the line with no sign of a new store for Wilkinson’s on the immediate horizon which, of course, means there is nowhere for the new terminus to go. Peter Dockerty with the photos. 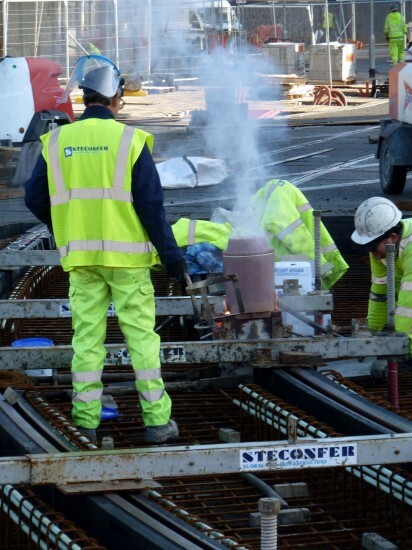 Welding taking place on the track with Stenconfer Portugal contracted to do the work.